But a 30-minute hearing in the case Tuesday largely centered around scheduling matters and wasn’t conclusive. Paul Manafort’s lawyers signaled Tuesday they may not contest special counsel Robert Mueller’s accusations that the former Trump campaign chairman breached his plea agreement by lying to federal prosecutors. During a 30-minute hearing that largely centered around scheduling matters, Manafort attorney Richard Westling said the longtime GOP operative’s legal team was still digesting Mueller’s narrative that their client misled investigators after agreeing to cooperate with the special counsel’s Russia probe. In court documents, Mueller has said Manafort dissembled about contacts he had with the Trump administration and with a former colleague in Ukraine. Manafort’s lawyers last week argued in a court filing that their client had done his best to provide useful and truthful answers to prosecutors’ questions over a dozen debriefing sessions held after the former lobbyist pleaded guilty in mid-September. But Westling said his team is now reviewing materials that the special counsel has shared spelling out its evidence, adding that his team would spend time talking with Manafort before determining its next move. U.S. District Court Judge Amy Berman Jackson ordered Manafort’s attorneys to file their official response by Jan. 7. She also set several other tentative deadlines for additional briefings, as well as a Jan. 25 hearing to consider whether Manafort breached his plea agreement. Jackson said she called Tuesday’s hearing to try to sift through the question of whether Manafort’s team really did contest Mueller’s allegations. “I don’t want to get to sentencing and they say, ‘He wasn’t truthful.’ And he says, ‘Yes, I was,’” said Jackson, an appointee of President Barack Obama. Jackson is scheduled to sentence Manafort on March 5, and the dispute over whether he was untruthful during his cooperation agreement with Mueller is likely to be a factor in whether the judge gives a more lenient or harsh prison sentence. 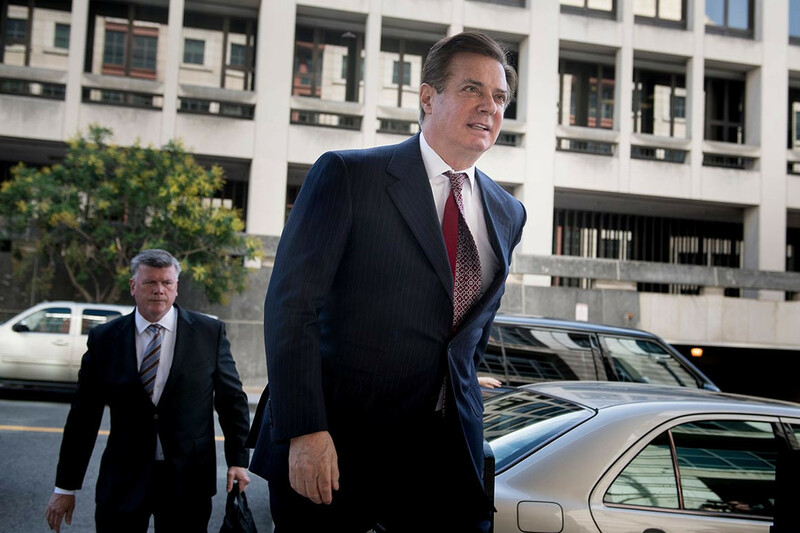 Manafort is also scheduled to be sentenced on Feb. 8 by U.S. District Court Judge T.S Ellis III in Northern Virginia for his conviction on eight felony counts of bank and tax fraud. Manafort has been jailed since June for alleged witness tampering.